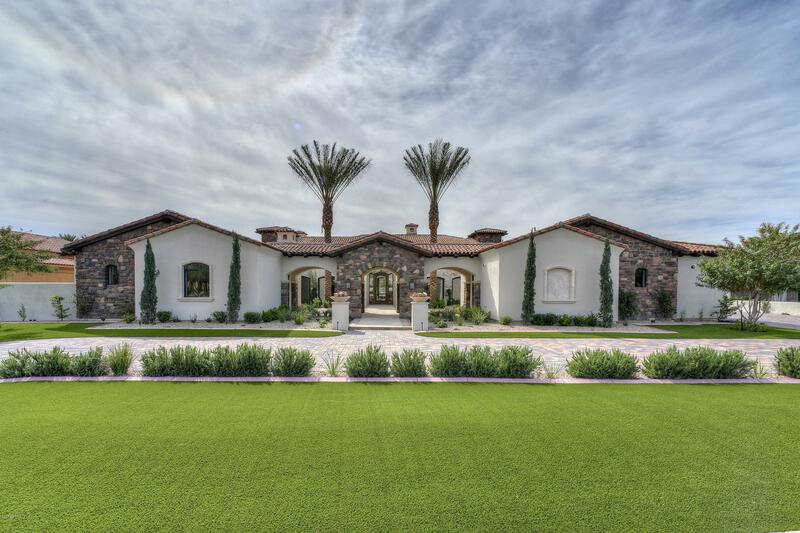 Quality custom home in a premier location! 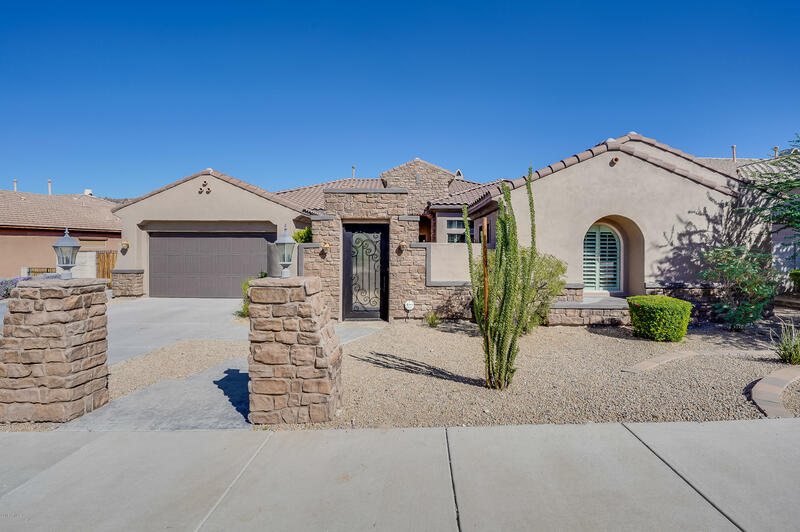 Authentic curb appeal from the dynamic corner lot, grey-stoned paver walkway, elevated grand entrance, detailed pop-outs, custom grey paint to the stark-white pillars. Two homes in one with a 4 bd/2 ba/ 3,512 sf (w/ optional 5th bedroom) main house and a 2 bd/ 1 ba/ 1,249 sf fully-equipped guest house. Enter through the 8 ft solid-wood double doors to dramatic 12 ft ceilings throughout, floor to ceiling columns, pot shelves, wood-look tile floors and stunning wood plantation shutters. 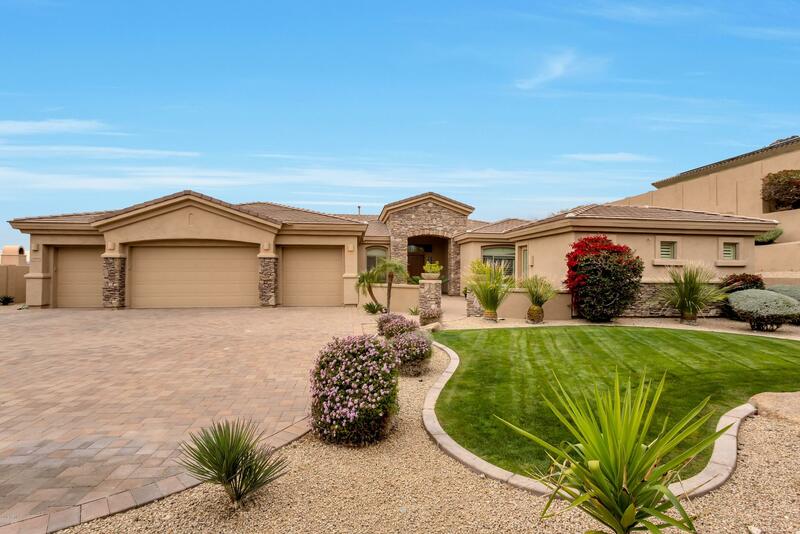 Home features a formal living & dining rm at front; open kitchen w/ paneled cabinets, extensive counter space and large breakfast bar overlooking the entire room. Gorgeous home in one of the most desirable meadows subdivision, located within walking distance to parks, community pool, schools, & library. Within two miles many shopping and entertainment opportunities in the intersection of happy valley rd and lake pleasant parkway. 15 miles from lake pleasant regional park. Easy access to 303 & 101. Family friendly neighborhood with parks & playgrounds. 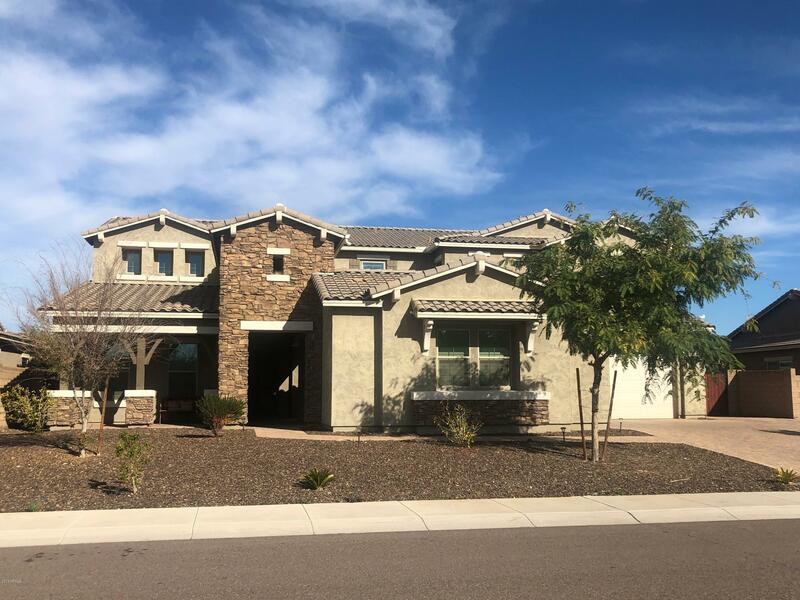 Very spacious, two story home comes with many upgrades inside/out, window covers, granite counter top, gas cook-top, appliances, including new washer and dryer, refrigerator included, two master bedrooms one first floor (perfect for grandparents or in-laws) and one upstairs. Office/den or study room, formal dining, breakfast nook, large family room are also in first floor. Courtyard front entry. 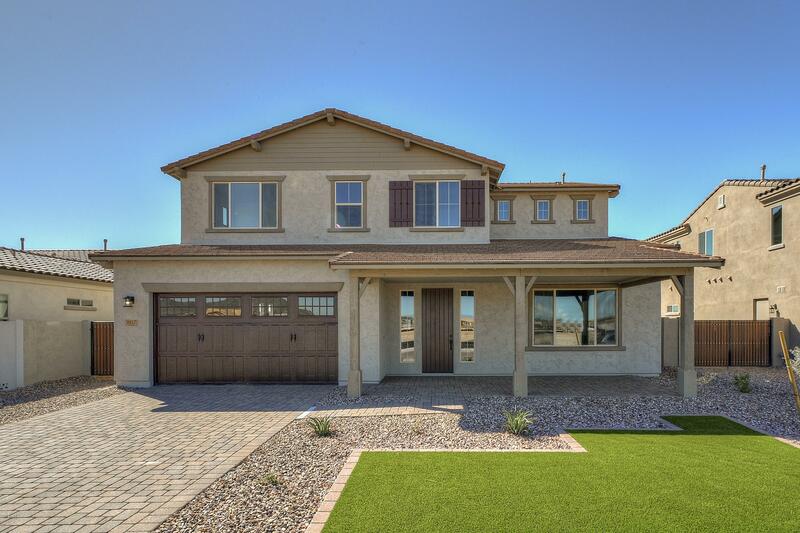 Purchase this home on or before april 30, 2019 & close escrow by june 14, 2019 to receive a ge refrigerator and ge washer & dryer! Located in the meadows, this 2 story gorgeous new home features staggered full overlay kinsdale painted ''harbor'' cabinetry, granite kitchen counter tops, gourmet gas stainless appliance pkg, frameless walk in shower at master suite, interior french doors to master bedroom, 16' slider pull sliding glass door at great room, 8' interior doors, extended covered patio, 10' gate & rv parking, 14 seer hvac with wi-fi thermostat, ''wood look'' tile flooring, pavers at driveway & walkway and is solar ready. Natural gas community. Stunning t. W. Lewis 2-story home includes a large pie-shaped lot in the corner of the altavista community. 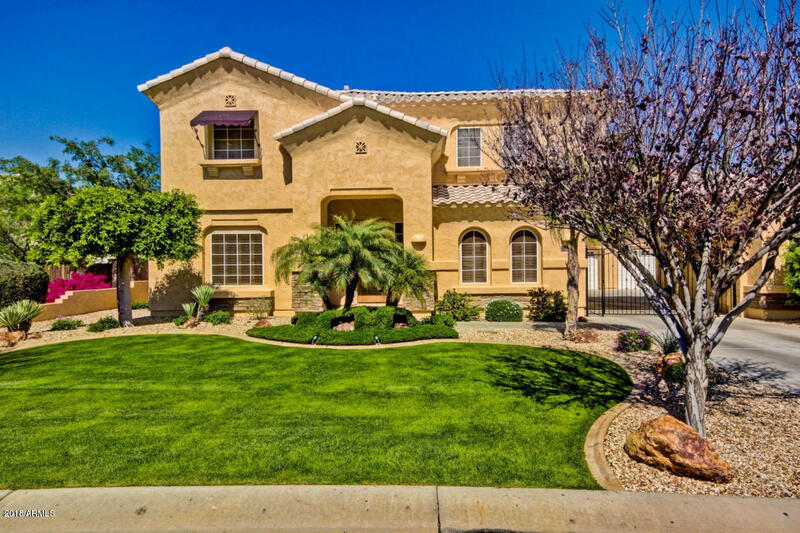 6 bedrooms featuring master and 3 guest rooms upstairs and 2 guest rooms downstairs. Formal living room with wood flooring greet you in the entryway. The family room is directly off of the kitchen that features a large island, gas stove and stainless steel appliances. Upstairs you will find a large master bedroom with garden tub, walk-in shower and large master closet. One of the guest bedrooms upstairs features its own bathroom and the 2 remaining guest rooms share the remaining bathroom. 3 car garage with direct entry into the home. Great pool and nice landscape greet you in the backyard. 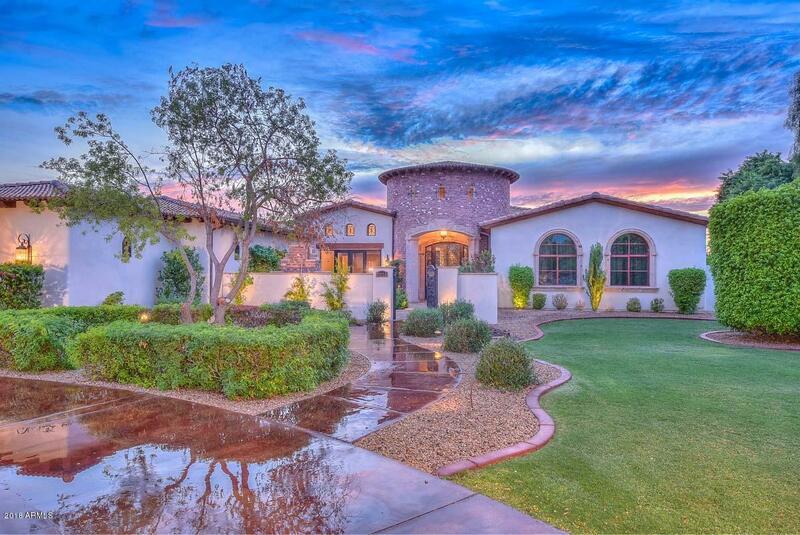 Spectacular westwing home - 5 bedrooms, 4. 5 baths & 1 br/1ba separate guest quarters. 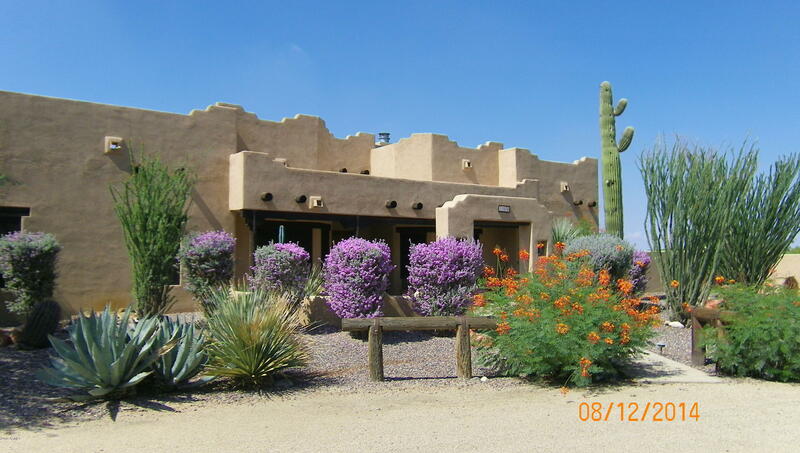 Majestic iron door leads into a large courtyard with entry to the guest casita & main home. Inside, an oversized formal or second family room & dining or office space. Remodeled kitchen features expansive island w/breakfast bar seating, stainless appliances & granite counters. Kitchen opens to large family room with fireplace & an abundance of windows. Trimmed to perfection throughout w/ plantation shutters, wood/travertine flooring, 12' ceilings & crown molding. 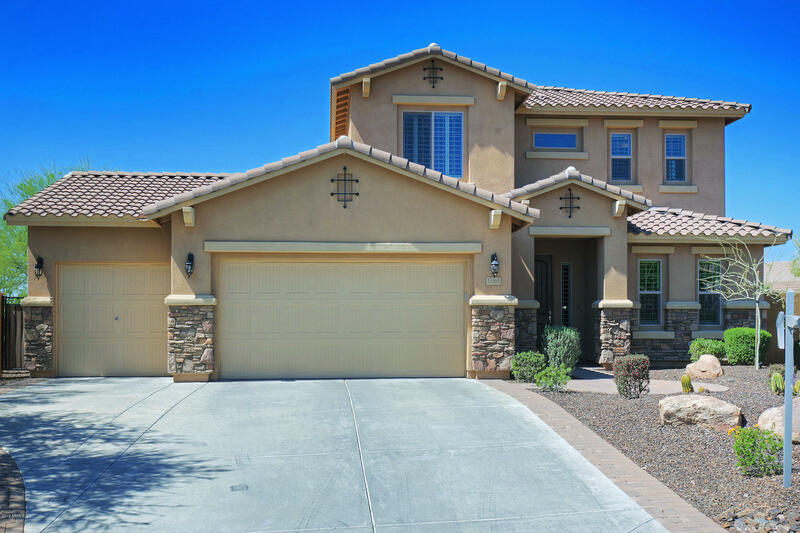 Spacious bedrooms each w/en suite baths & a master suite fit for royalty! Smart home features everywhere. Backyard built for large scale entertainment, sporting multiple seating areas, newer pool & putting green. A must see!